Oslo: Norwegian mini-bulker owner Wilson has refinanced nearly all its ship mortgage debt in a deal with DNB and SR Bank. The shortsea specialist said the new financing agreement will increase the company’s freedom considerably. The new funding has a framework of EUR155m ( $189m) for refinancing of the current fleet plus EUR20m as an investment facility for new projects. Funding is provided by DNB and SR Bank and will replace the current primary mortgage facility from DNB and Handelsbanken. The new loan has a maturity of five years which is an extension of 2.5 years compared to the current funding. Today the Oslo listed outfit has a EUR15m loan with short maturities until November this year, but this will now be taken into the main facility so that the entire loan runs until 2020. Installment payments will remain unchanged at EUR3.2m per quarter, but with an investment facility of EUR20m that will require further installment payments. The company’s operational freedom will increase significantly as the new facility does not contain any cash sweep mechanism and Wilson is allowed to invest up to 50% of free cash flow as equity in new ships. 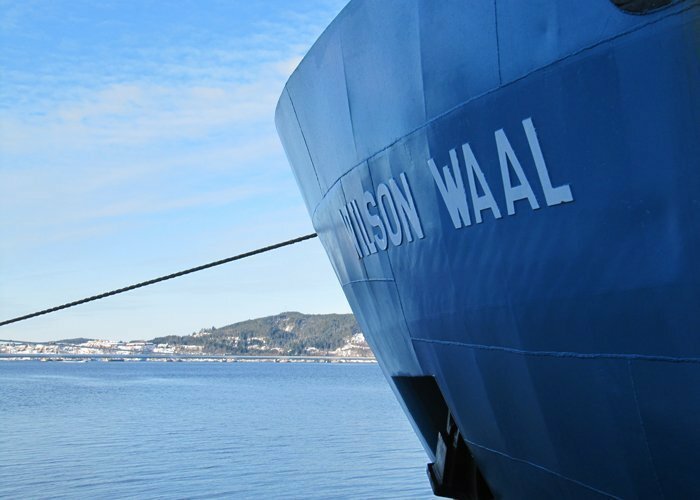 Wilson is one of the leading players in European chartering and operation of small dry bulk vessels between 1,500 to 8,500 dwt vessels. Of the 110 ships in its fleet, 83 are owned.